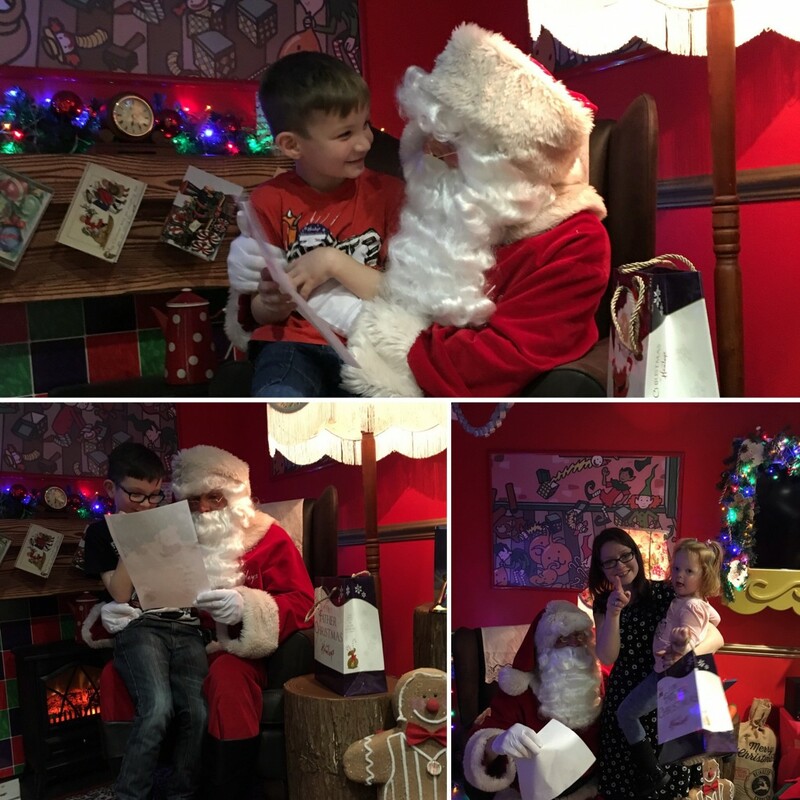 Meeting Father Christmas or Santa is one of my favourite Christmas traditions. I love the build up, the excitement, the anticipation and the sheer magic. Having children makes Christmas even more magical and seeing the wonder through your child’s eyes makes my heart swell and is amazing. 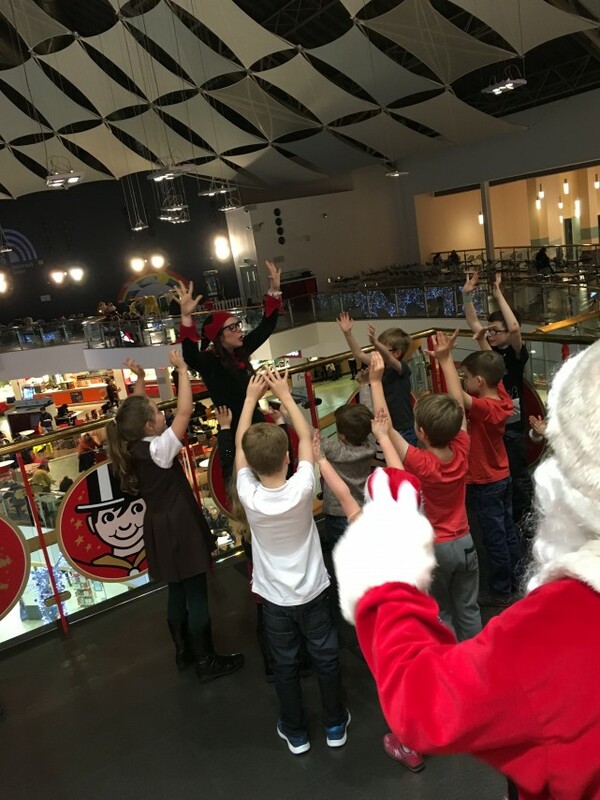 As the saying goes “The light in a child’s eyes is all it takes to make Christmas a magical time of the year.” And Meeting Father Christmas at Hamleys in the St Enoch’s Centre in Glasgow certainly made this come true and I believe in the magic of Christmas. Late last month we were invited along with some other lovely bloggers families including Laura at Yummy Mummy Flabby Tummy, Non Blonde Husband of Transatlantic Blonde and her family, unfortunately, she was in the US and was missed. The lovely Sarah from Glasgow Mummy and her little ones was there. It was lovely for our children to catch up with each other and also to briefly catch up with the lovely friends close by I’ve met through blogging. 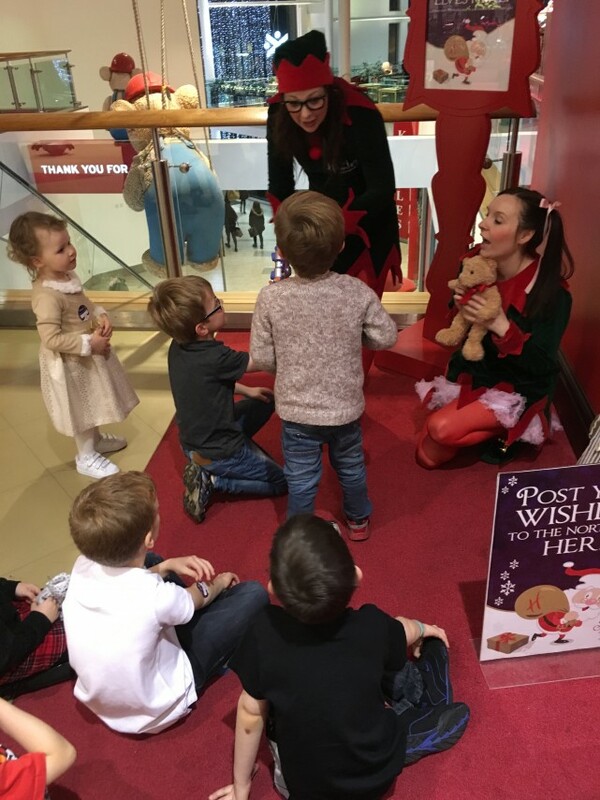 We arrived at Hamleys and were greeted by the most wonderful and excited elves, there was Brainy Elf and Baby Elf. They were so much fun, even thinking about this day makes me smile. My boys were right in there enjoying the fun and banter, Aria was a little more subdued. We all marched along to the party room singing Rudolph the red nose Reindeer. The party room looked amazing. Just like what you’d imagine Santa’s living room to look like. There was a wonderful lit up fireplace, comfy chair, beautiful Christmas tree and a filled table. The room is perfect and a great way for some interactive and personal conversation with the big man himself. 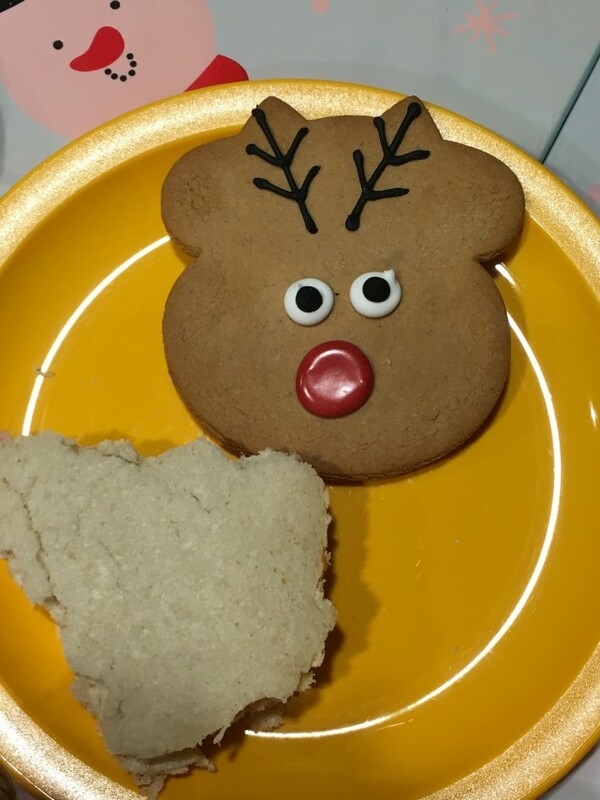 Mama elf brought the children some great party festive themed food, including Christmas tree shaped pizza and sandwiches and a Rudolph shaped biscuit for dessert. The food looked great and the kids loved it. Once the kids had finished their food, they all had to sing Jingle Bells very loudly and ring the little bell instruments on their table. This was Father Christmas favourite song. Santa came into the room and he was the REAL Santa, we I believe he was. He was fantastic. Just like you’d imagine Santa to look. 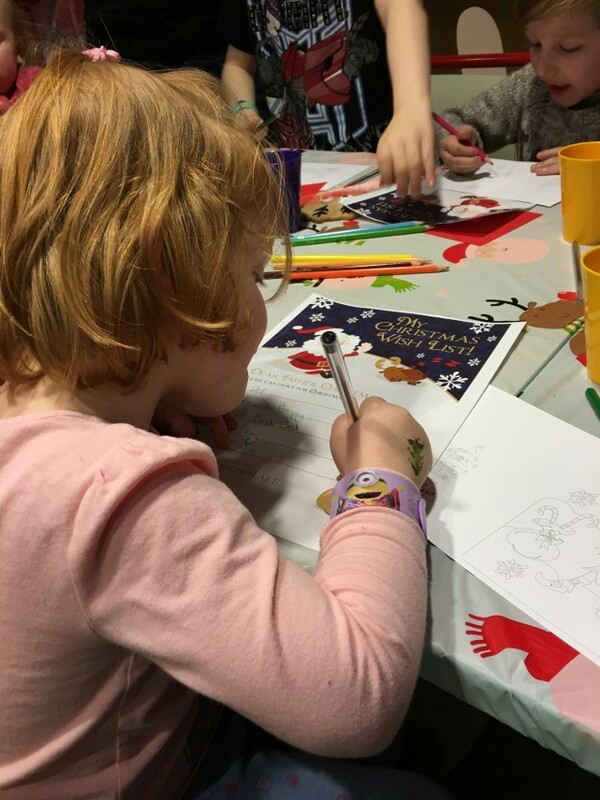 The children then wrote their letters to Father Christmas, made a Christmas card and listened to Twas a Night Before Christmas read by Santa. It was wonderful. 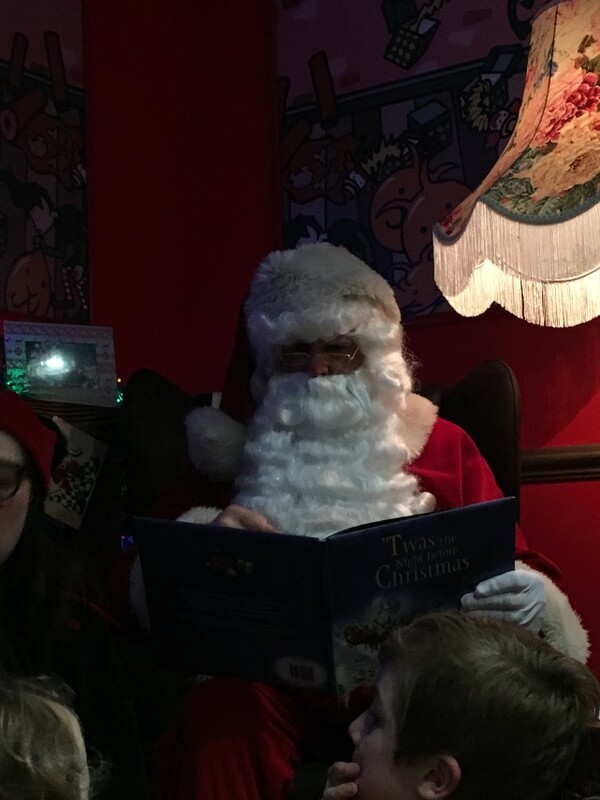 Next it was time for each child to chat to Father Christmas about their Christmas list and what they have been up to this year. 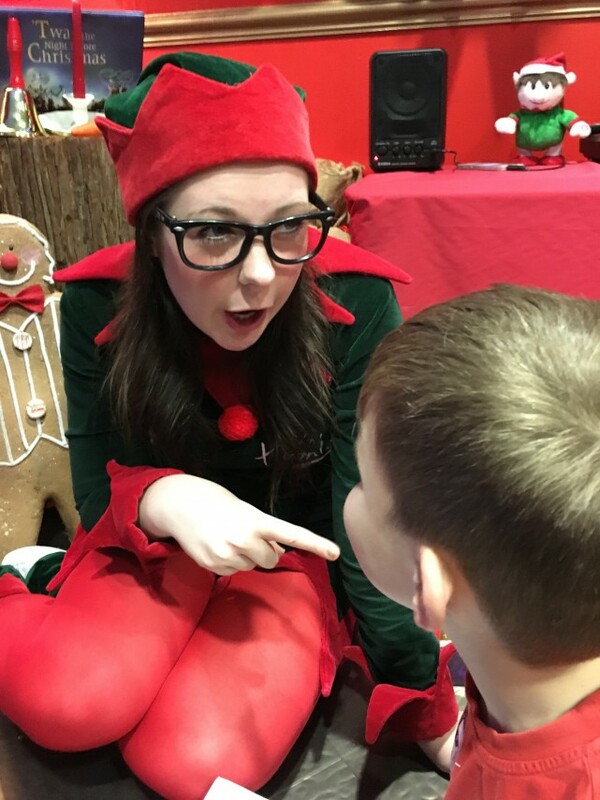 The elves sat and chatted with each child too, which Tyler especially loved. Seeing their faces meeting Father Christmas, actually sitting on his knee, which seems a rarity these days, was magical. It was what Christmas is all about. Seeing the magic through their eyes. Aria wasn’t so keen on Santa, so I had to go with her. 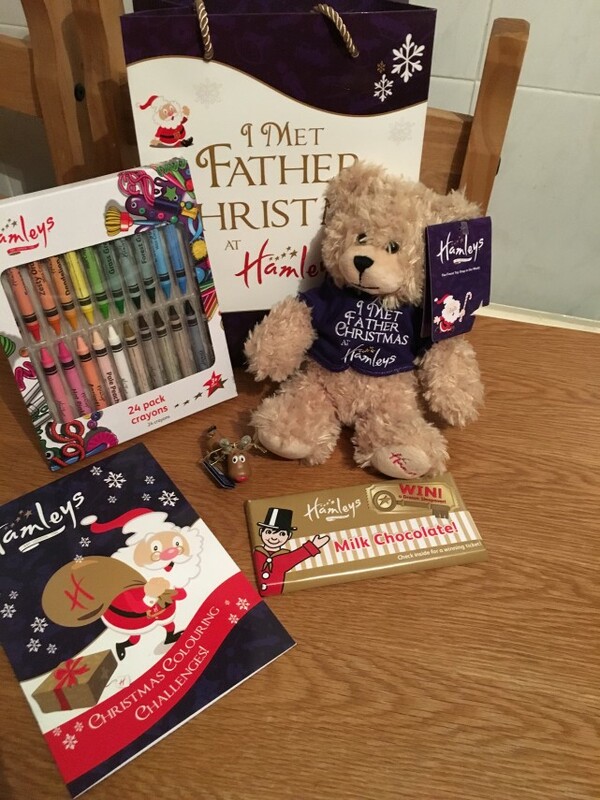 The children were given a fantastic goody bag, which contained a beautiful Hamleys teddy which will be treasured for years to come and a wonderful tree decoration. Before we left we all went outside the shop and you will never believe what they did? The magic of Hamleys made it snow inside the St Enoch shopping centre. I may have had a tear in my eye. We had the most amazing time and I will definitely be going back here next year. Hamelys is a magical place for children all year round, but this was something else. I believe. Do you? 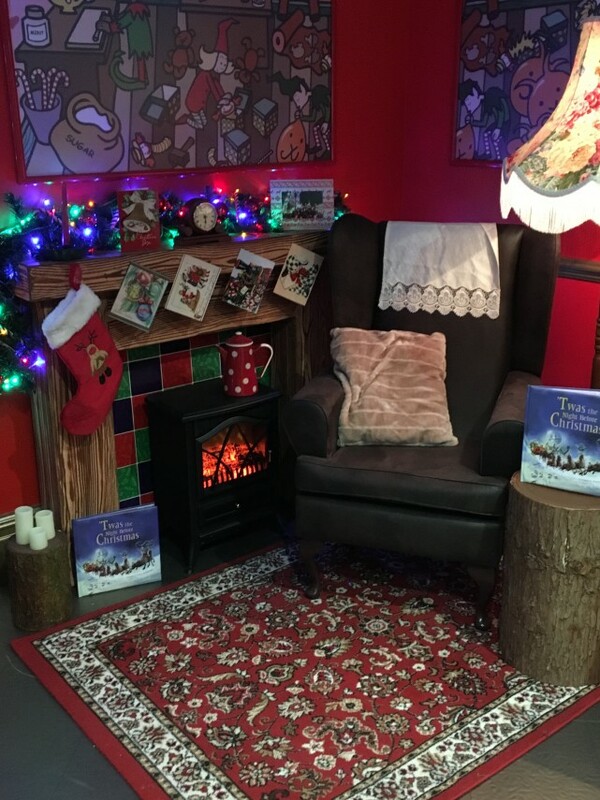 The I Met Father Christmas is a fun-filled interactive event, where children can enjoy a magical breakfast, brunch, lunch or even dinner with Santa. The food has a festive theme to it, the entertainment is fun, arts and crafts, singing and dancing and much more. Children can enjoy this magical experience surrounded by the world’s finest toys from the 28th of November right up until Christmas Eve. The event lasts an hour and costs £25 per child. And worth every penny in my eyes. It was a truly magical experience and one I will never forget. 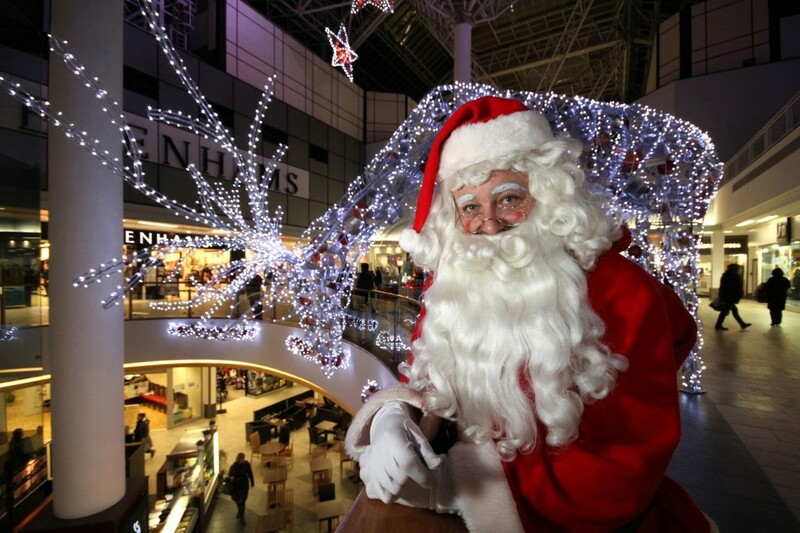 If your child ever doubted the real Father Christmas, Hamley’s will have them coming away a believer. Disclaimer:- My children and I went to see Father Christmas at Hamleys. 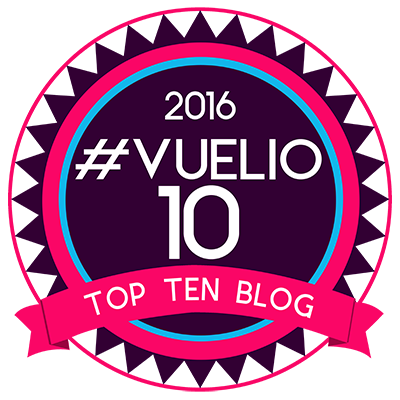 I was not asked to write about it, but wanted to as it was amazing.